I’ve always loved caterpillars. Now, with your haiku, I can love them poetically. 🙂 I hope your Monday is all you want it to be, dear friend. 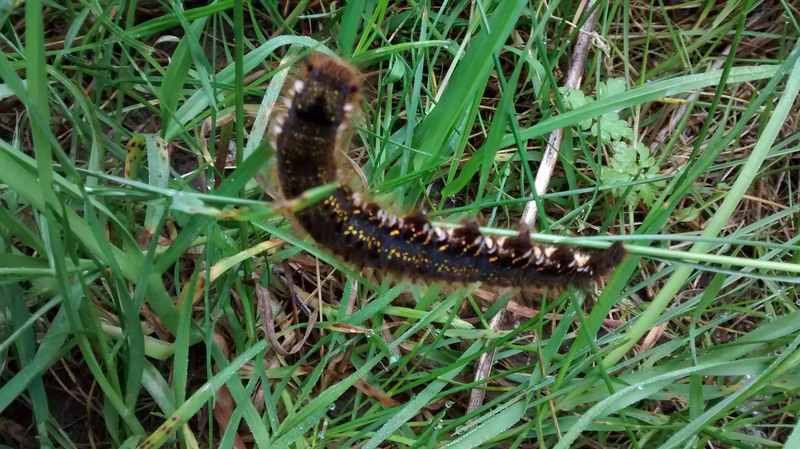 And what a destiny – it can’t be all bad being a caterpillar, as long as you don’t get eaten of course! I wonder if those hairs on the caterpillar deter the birds. It could feel a bit like swallowing a tickling stick or bottlebrush, since birds don’t chew their food first! Well done Sarah. Have a great day. Hope all is well. Thanks, Andrew 🙂 Yesterday was great. Today is middling. My energy levels are very unstable just now. It’s very frustrating. Well I hope the rest of the week improves for you. Happy to see your muse is back at it. My muse is back, but life isn’t allowing me much time for creativity. I can’t see me having time to do a readthrough of my latest novel until June, so will just have to accept that and deal with it. I’ve a huge backlog of books to review, too, as have read some truly wonderful novels this year to keep me sane! I so want to share with people about these gems.